You must make reservations at least 5 minutes in advance of the time at Sawyer. Unmetered parking on Shilshole, a small pay lot next to the restaurant, metered street parking. Like all restaurant areas in Seattle, Ballard's parking is competitive so we would recommend a taxi/Uber/Lyft whenever possible. We are pleased to offer our all-seasons patio for your next private event. Located off the main-dining room, this area is the perfect space for your next anniversary, corporate dinner, or group outing. For availability and reservations, please contact us at events@sawyerseattle.com. Sawyer is a casual yet chic new American restaurant and bar located in the heart of Ballard’s burgeoning restaurant scene. 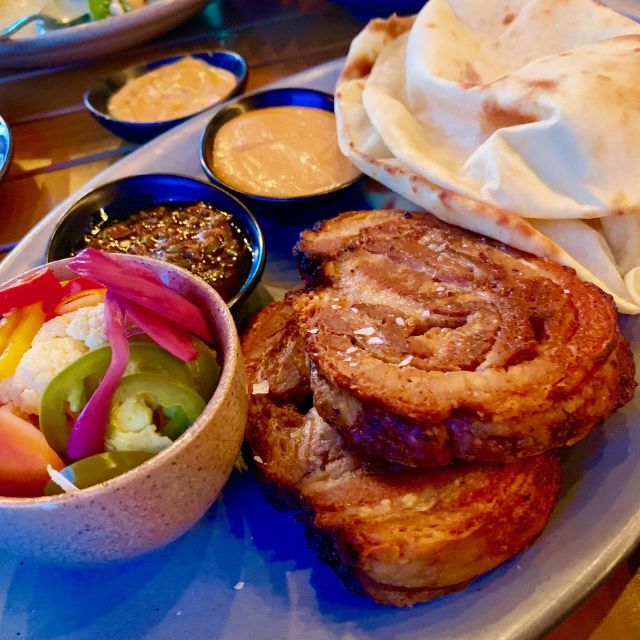 Designed for family style sharing, our menu is made up of large and small plates inspired by food that people crave, with a focus on technique, whimsy, and comfort. Featuring floor to ceiling windows, exposed beams and cozy booths, the renovated 1920s sawmill includes a main dining room, full bar and all-seasons enclosed patio. Food was fine, but service was lacking. Our waiter was indifferent and didn't check in on us at all. During dessert, he came by once we were almost done to offer coffee, which by that point we weren't interested in. We weren't asked if we wanted refills on drinks and our water glasses sat empty for most of the meal. Other members of the staff cleared our plates and refilled our waters. We had high hopes for this place, given the positive reviews. For us, it really fell short. Great quality food. Service was spectacular. SRW was such a good deal. Will definitely come back! 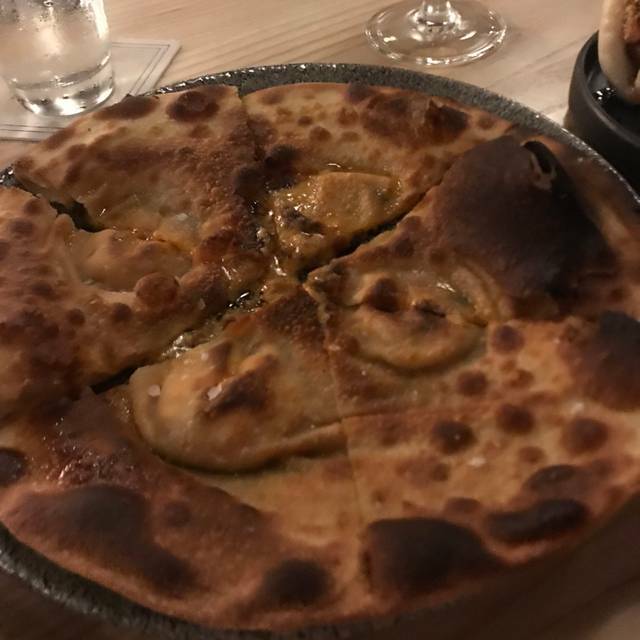 Great food and service-I can’t wait to go back. Artichokes, fish and desserts all exceeded our expectations. We loved every minute of our experience at Sawyer! 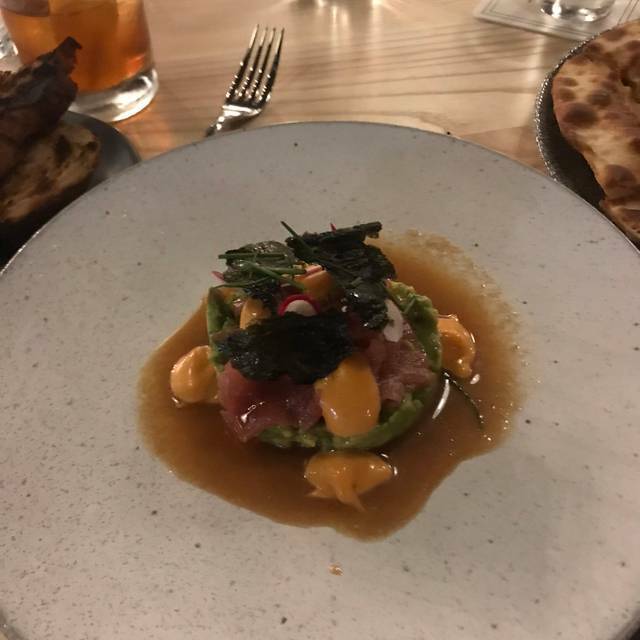 The food was amazing and they were kind enough to work with my dietary restrictions during restaurant week with grace and made it delicious!! Food was great and space was very cool! This might be my new favorite in Seattle! Delicious food. 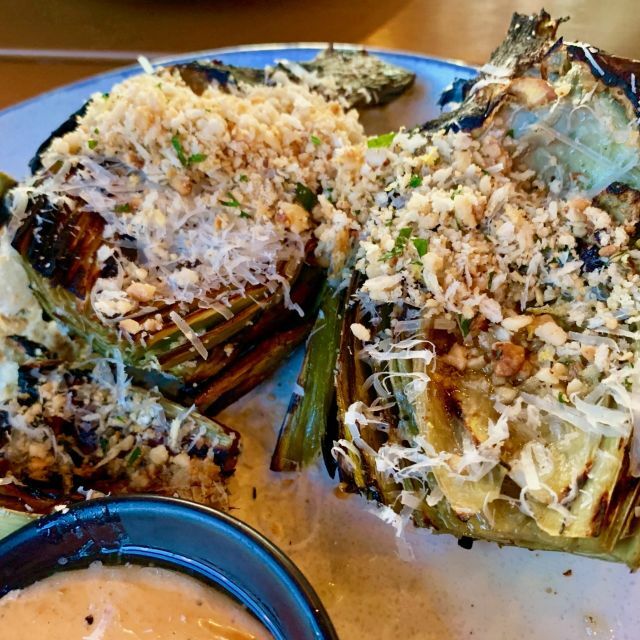 I especially loved the grilled artichokes. Noise level is a bit wearing. Great food and great atmosphere. The food is on the heavy and meaty side so would not recommend to vegetarians. The drinks are great and there is a bar so anyone should try some apps and drinks. The roasted artichoke were delicious! Had a lovely dinner there yesterday! The ambiance is cool yet casual since it’s located in a beautiful remodeled former sawmill. The food was really fresh and the portions very generous. We shared the house salad (huge and loved the goat cheese/chicken combo) pork belly buns (classic flavors, well executed), animal style burger (wagyu beef with good quality bun - had a lightly charred flavor which worked well with that type of beef) and my favorite the oxtail nachos which packed a lot of flavor! For dessert we had the dilly ice cream bar - sooo unexpectedly good since the ice cream is very creamy and dipped in high quality chocolate with cookie dough. Service was excellent - our waitress, Katie, offered great suggestions and was very attentive. Overall, great food, we will definitely be back! Great food! Came for restaurant week so our service was subpar and they ran out of the things we were hoping to order. Dessert was phenomenal, best dish. Cocktails were yummy. Awesome interior - exposed ceiling, modern, lots of wood, clean. Food was good enough I would go back to let them redeem service! The pork belly sliders were one of the best plates I’ve ever had! I could have had 5 more plates of them. A MUST order!! Went to Sawyer for the second time, both times during restaurant week. They do a great job and don't skimp on portions at all! Plus you can do the whole restaurant week menu a la carte in case you only want one or two of the courses. The food is spectacular and would return any time! 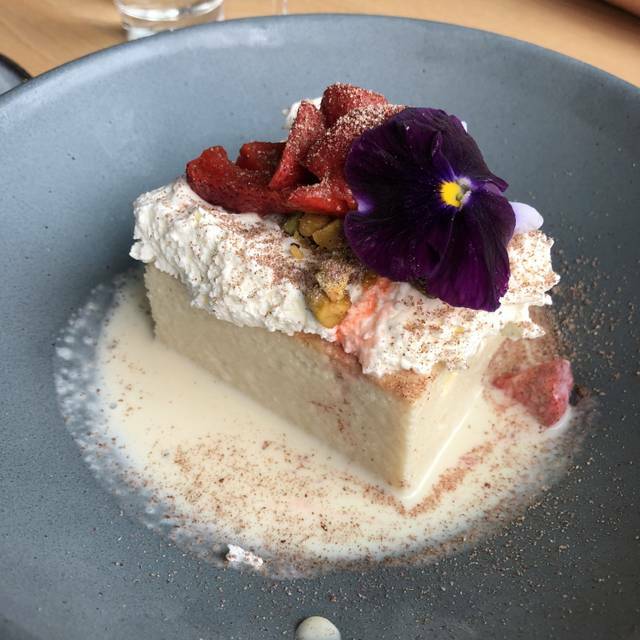 The only downside was that it took at least 10 minutes for dessert to arrive after they cleared our entree plates - but it was so good that we didn't care once it got there. Good food, good service, friendly staff. Also great look and feel. I think wine knowledge is average at best. Our dessert "aperitif" was replaced without asking (because they were out of what we ordered...waiter should know that). He was nice but should have asked us before changing it. First time visiting this gem during restaurant week. The food was superb. We had the asparagus salad followed by the halibut. It was all cooked to perfection. The only thing I would comment is I wish there were more local wines on the menu. Went during Seattle Restaurant Week so 'value' might be a little skewed but the three courses for $35 was amazing. Personal favorite was the dilly bar for dessert - but that's because I have a sweet tooth and will eat anything that contains cookie dough. I was really looking forward to Sawyer but was disappointed overall. The service was really slow and the food was just ok. Perhaps Bc it was restaurant week and they wanted options they could mass produce. They also charged $10 more for halibut when other restaurants participating just include it as a general option. Everything was top notch ! I am confused by all the great reviews. There is simply no way that Sawyer stacks up to what Seattle dining has to offer the food was mediocre, but the staff was friendly, attentive and amazing. 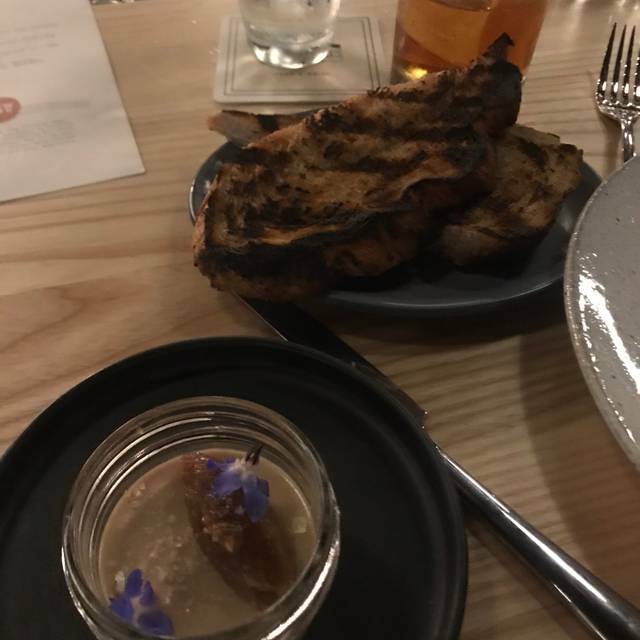 We dined at the Sawyer during Seattle Restaurant Week, so the menu was limited (by design), but the food was great, as was the service. Recipes seem a bit unusual but taste great. Don't miss the Sawyer. You won't be disappointed! Went during Restaurant Week and it was a good deal. Flavors were really interesting and everything was good. The deserts were the best part of the meal. Ambiance is better than the Kickin' Boot before it, but a bit stale. Not unenjoyable, just more potential. I was really looking forward to the restaurant that everyone seemed to be talking about nowadays during restaurant week. The restaurant has the kind of ambience I enjoy -- sort of industrial, modern with high ceilings. The service was excellent -- our waiter was attentive and capable, although some of the staff seemed to get the dessert order mixed up a bit among the different tables. Both my husband and I ordered fish for the main course -- rock cod for me and black cod for him (not part of the Restaurant Week menu). Black cod was great, but rock cod was cooked a bit longer than I would have liked. The fingerling potatoes that came with the fish were the highlight of the course -- simply delicious! The asparagus salad was tasty but buttermilk mascarpone was a bit too rich/heavy to be a good complement for the greens. Dilly bar for dessert was good but nothing to write home about. I'm glad I finally tried Sawyer, but I'm going to stick with some of my other Ballard favorites such as Staples & Fancy and Walrus & Carpenter for now until there's another newcomer to try. Fantastic oxtail nachos and wild boar ribs with cornbread. Food was good. But I would not say exceptional for the price. The roll was just ok (not worth $22 appetizer). Duck was good (on the pricey side for $38). 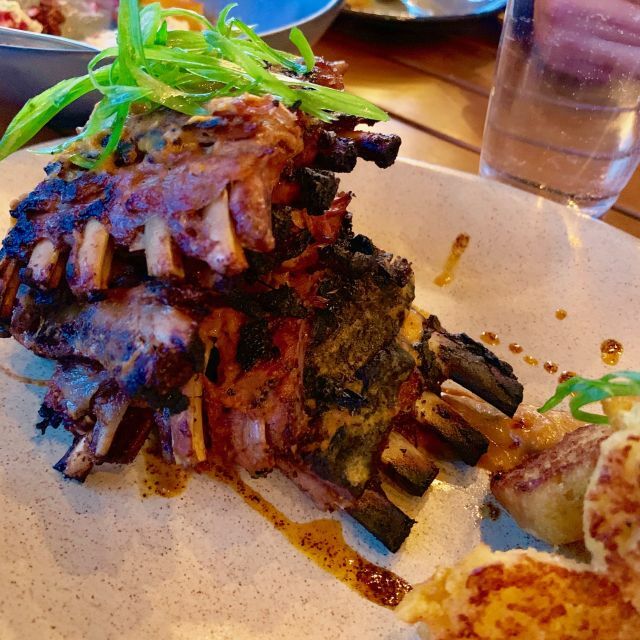 Sawyer does elevated comfort food and it does it well. We tried the tater jojo's, asparagus salad, and steam buns and everything was delicious. The jojo's are a large portion for just two people so we did apptetizers/small plates and dessert. 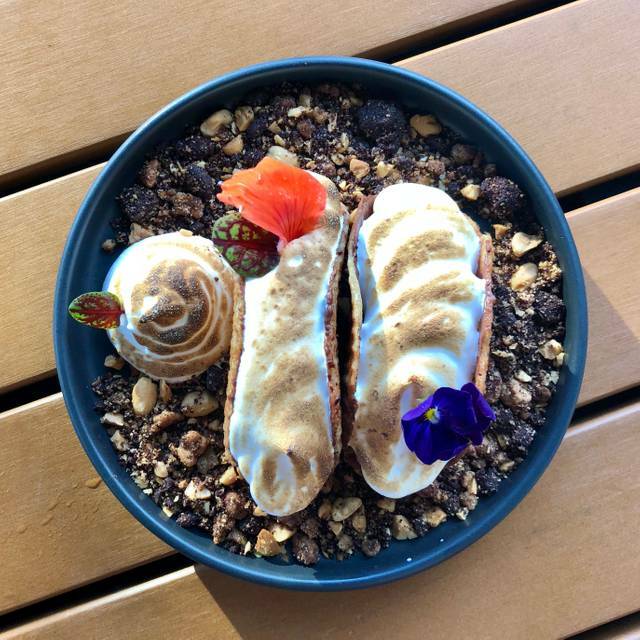 Do NOT miss the homemade choco tacos. They are beautiful and fantastic. The meringue on top isn't a hard/crunchy meringue, it reminds me of marshmallow fluff. Also our server Lauren was very sweet and patient with my sleep deprived husband and myself. I found the experience to be very well put together. The two of us ordered 3 small plates and one entree, we didn't feel rushed, and each course was brought out independently in the most logical order. The flavors were bold, aggressive and appropriate seasoning, creative but approachable. I'll certainly be back. Fantastic! One of the best meals I've had in Seattle! Great food. The oxtail nachos are simply amazing. I was really excited to try Sawyer, and with my dad visiting I thought it would be the perfect time to venture there. Overall, the experience was good, but there were a few hiccups along the way. We were seated right away, but it took quite a while for a server to come up and take our drink orders. 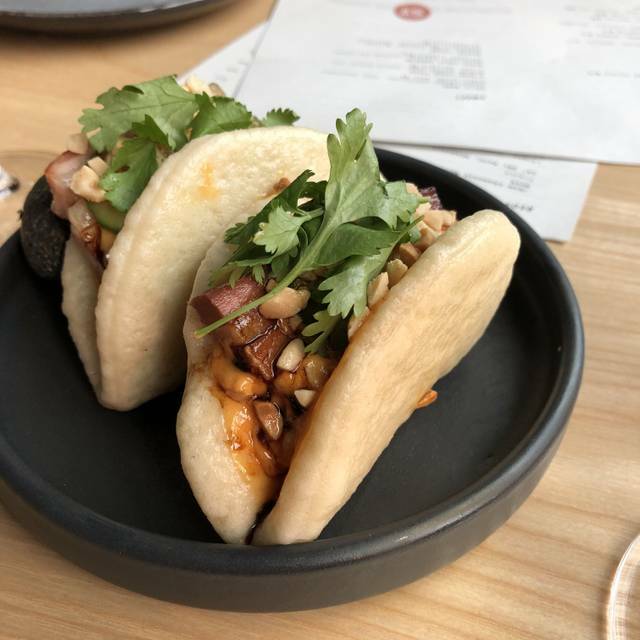 Once settled in, we ordered the pork belly steamed buns and grilled artichokes. The steamed buns were great, and the artichokes were fair. I had the Udon noodles which were quite tasty and a good moderate portion. My dad had the blackened cod, and was not as pleased. The best part of the visit was honestly the desserts. The choco tacos and the dilly bar made it all worth it. There are a few things to improve upon, but would definitely try it again. As always, the food and service was superb. Ambience and interior is somewhat utilitarian, not off-putting, but very comfortable. Bar service is moderately fast and could be a bit quicker. But the food and preparation is always above expectations. Sawyer is always dependable and pleasantly above expectations. Well worth another visit, ... every time! This restaurant is welcoming and service-oriented. All of the staff were kind, patient and informative. This is a great place for everyday dining and special occasions. It is suggested that dishes are shared family-style. The food was delicious!! Food is delicious, the ambience is great, there are desserts to die for. The staff is very welcoming. Table wasn’t ready for our reservation, food wasn’t great, servers were awkward and made comments that made us feel unwelcome. Will not come back. The food was amazing! We ordered the cheese bread, grilled artichokes, burger, and oxtail nachos. We got the Chaco tacos for dessert which is a must. The only issue we had was with the service. Food was slow to come after our first 2 dishes and service was slow as well. Unfortunate because that left a bad taste in our mouth. Great costumer service. Entree did not taste good. Took my father for his birthday. The service staff took great care of us and the food was amazing.